The Cast of Painting Faye Salvez at the NYMF Opening Night Party! 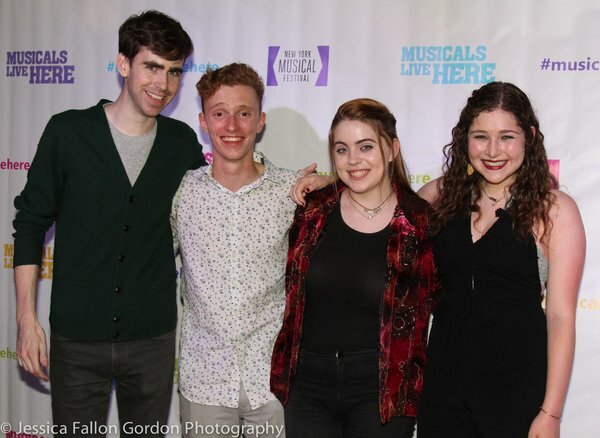 Sam Heldt, Morgan Mastrangelo, Rozi Baker, and Rachel Covey at the 2017 NYMF Opening Night party! Thanks Broadwayworld.com for the photo! Previous Post GET A GLIMPSE INTO REHEARSALS FOR PAINTING FAYE SALVEZ AT THE NEW YORK MUSICAL FESTIVAL! Next Post RACHEL COVEY AND KYLE BROWN INTERVIEWED BY THE INTERVAL!